How to peel post-it pads? they are very helpful but not really convenient to use. At least to me. I have major trouble peeling them. Whenever I peel one, the end normally gets curved, Probably because of the speed. I tried to peel it really fast…like really really fast. It curved even more. I tried to peel it at normal speed and then turn it …. It didn’t curve much, but left a mark. I am still in process of finding a curve-free way to peel my post it. Any suggestions? 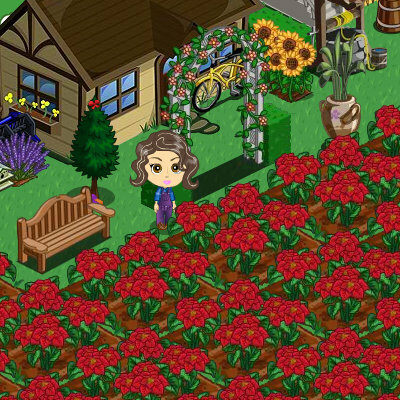 Farmville gives me a placebo satisfaction of sorts. I have a well, animals which include horses, goats, cows, (pink and white), rabbits, ducks and swans, windmill, cottage to stay, rest tent, garden shed, pond, picnic set, maple tree, lime tree, orange tree, apple, apricot, banana, dates, plum, lemon, pomegranate, peach, fig and olive. It is amazing. I show my farm to my parents, aunts, my friends, my sis. visit it and let me know what u feel about it. Who doesn’t hate long weeks??? y do people do this? both u and the person know that it going to take a lot lot longer than ek sec. it can get so bugging. There are some who say “2 min” even when they know that the task will get over in half that time. So …. bas…… aise hi???? Y mention any time in the first place. There are so many other ways of saying it. 6 i don’t know how much time i will take but hang on 🙂 ok u can’t say this… but 5 choices are not bad.